Does Bigfoot exist in Norway? Well this guy seems to think so. He claims he was out hunting and saw what he thought at first might be a bear. Then he saw the creature walking on two legs and realized it may be a Bigfoot. 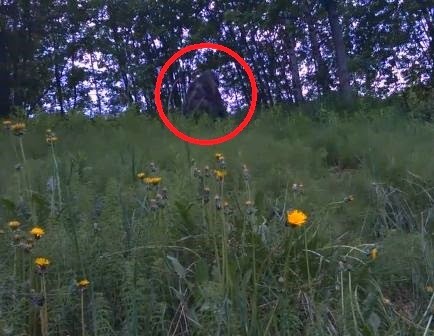 The alleged Bigfoot appears to be getting something from the ground and then stands up and casually strolls away.